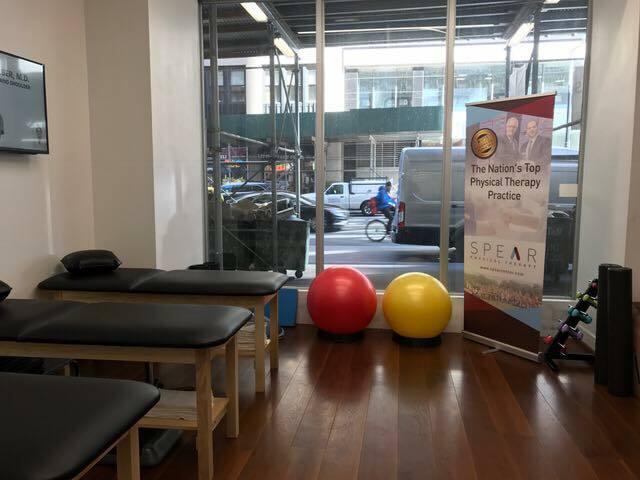 With our goal of being no more than a few blocks or subway stops from all our patients, we are adding another new location to our expanding network – SPEAR Tribeca. Located at 16 Park Place near Broadway, this is SPEAR’s second location south of 14th street, and an important next step in developing our downtown NYC presence. 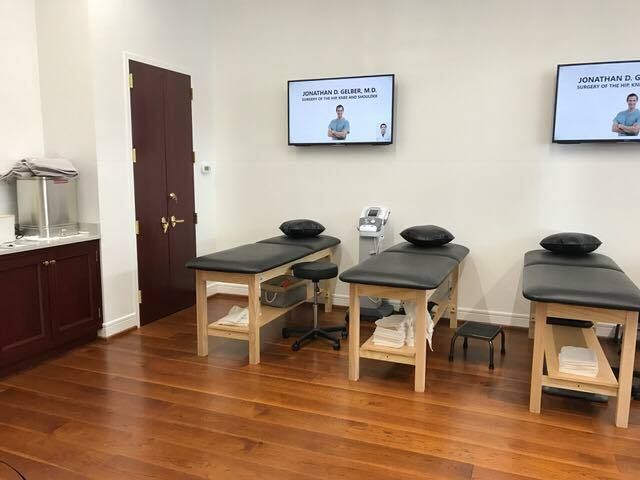 The sunlit, state-of-the-art, street-level storefront Tribeca location is a brand-new construction, including an 800 square foot gym and a set up very similar to our 84th Street office. It will offer four treatment tables and a hand therapy table, and will accommodate three full-time PT’s and one full-time OT. Its intimate treatment area will allow for very direct and personalized treatment from the physical therapists and the rest of the staff. Lauren Carleton, the director of the Tribeca office, is particularly excited about the clinic’s combination of physical and occupational therapy, with specialization in both upper extremity/hand therapy and manual physical therapy. “This focus makes it unique among SPEAR clinics, and allows us to meet a growing need for our patients,” Carleton says. The clinic will also have a special interest in women’s health, with personalized classes offered in PelviCore, a unique functional circuit training class targeting core strength and overall fitness/health. But perhaps the most exciting aspect of the new office is its central location, adjacent to the City Hall & Brooklyn Bridge subway stations. Every train coming from the east and west, as well as PATH trains from New Jersey, converge upon these stations, making it one of the most accessible spots in the whole city. This ultimate convenience will allow us to serve more of you, more easily. Because life can’t wait.